Évaluez cet Article Comme avec beaucoup d'autres types de jeu, Facebook a une sélection de choix quand il s'agit de jeux de chevaux. Dans cette liste nous allons lister les 10 meilleurs jeux de chevaux disponibles. With such a wide selection of games available to play on Facebook covering every aspect of our beloved horses which game is the best suited to you? In this article we will cover 10 of the best games you can play on Facebook, from racing to breeding and much more. We hope that you will find some inspiration in this article. Hooves Of Fire is a game dedicated to horse racing, and the betting that surrounds it. You manage a stable with your own horses and you race them. You can bet on your own horse in a race, or bet on any other horse in any other race that is going on. With special shops available to equip your horse and a market for trading horses to other players. If you like racing and gambling then this is the game for you. Horse Academy allows you to purchase a horse and then race your friends and other players. With a fun and simple gameplay and some amazing real and fantasy horses there are so many options for bright and colourful horses for you to look after and race. For a more gentle pace we have Little Horses allowing you to name your own horse and then train them. From feeding and grooming your horse you can then train them in eventing and dressage. Once you have a trained horse you can then sell them, or look to buy more horses for your own stable. Horse World gives you a wonderful family stable that you can fill up with some lovely horses. Enter them into competitions or races as you train them. With some really nice photo quality images and a fun relaxed gameplay. Blazing Silks is a pure racing experience, from training the horses and choosing their particular stats to a real quality racing track. With real time races and every aspect from the jockey weight to the standard of the turf, if racing is what you want this is the game for you. Horsemaker gives you a full range of options from managing your horse to trading them and everything in between. With some amazing graphics and a huge community of players there is a lot for you to see in this game. Horse Haven focuses more on the breeding side of horses, where you can create your own special breeds of horses from your own stable, with some amazing combinations and skills that you can teach your wonderful new horses. Stallion Race is a game based on racing where you can buy equipment for your horses, use special skills and powers in the races and manage every aspect of your stable. With a great racing set up and special exploration missions you can discover unique items and boosts to give you the best horse on the circuit. My Horse takes you into the fabulous world of show jumping where you train your horse, and then go jumping in an amazing 3D world. With beautiful horses and some amazing options and jumps for you to play through. With Riding Club you can test your riding skills on special agility courses, and from there you can create your own courses to challenge your friends. 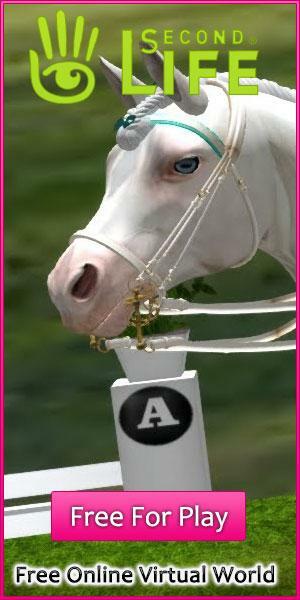 Presented in a fantastic 3D there are some amazing horses for you to play with. And so we come to the end of our list of some of the best games around on Facebook, we hope that you find something that you would like to try out and that you find your perfect horse in one of these fabulous games.